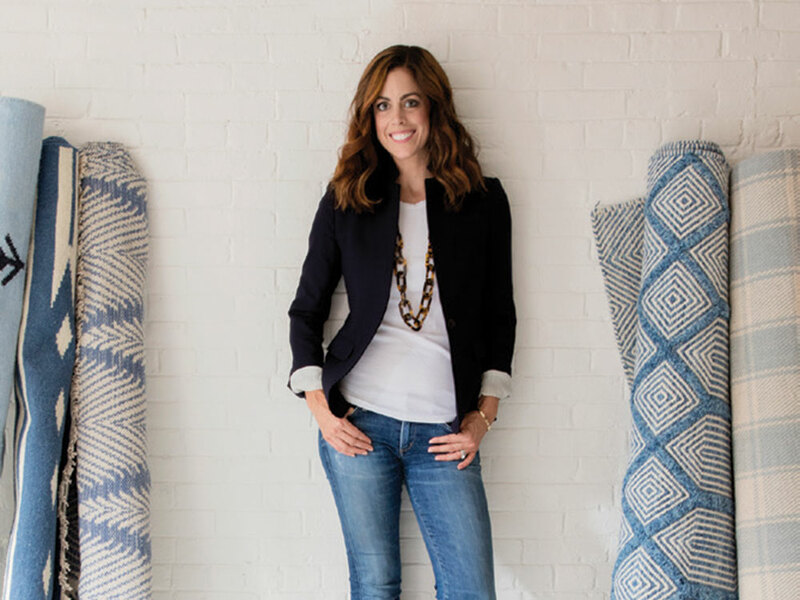 Interior designer Erin Gates turns the rug world on its head with her new collection for Momeni. Leopard-print runners and bold stripes galore; interior designer Erin Gates’ Instagram feed delivers a feast for the eyes. The New York Times best-selling author of Elements of Style, Gates has funneled her keen eye for design into a just launched collection of rugs she created for Momeni (momeni.com/eringates). The Newton resident’s partnership with Momeni came about in the most hi-tech of ways: A member of the brand’s design team loved Gates’ design and lifestyle blog (elementsofstyleblog.com) so much that she invited her to collaborate on an exclusive carpet collection. Gates, who already has an accessory line of pillows and lamps, jumped at the opportunity.